Available in any quantity ten or more; contact us if you'd like a quantity not listed. 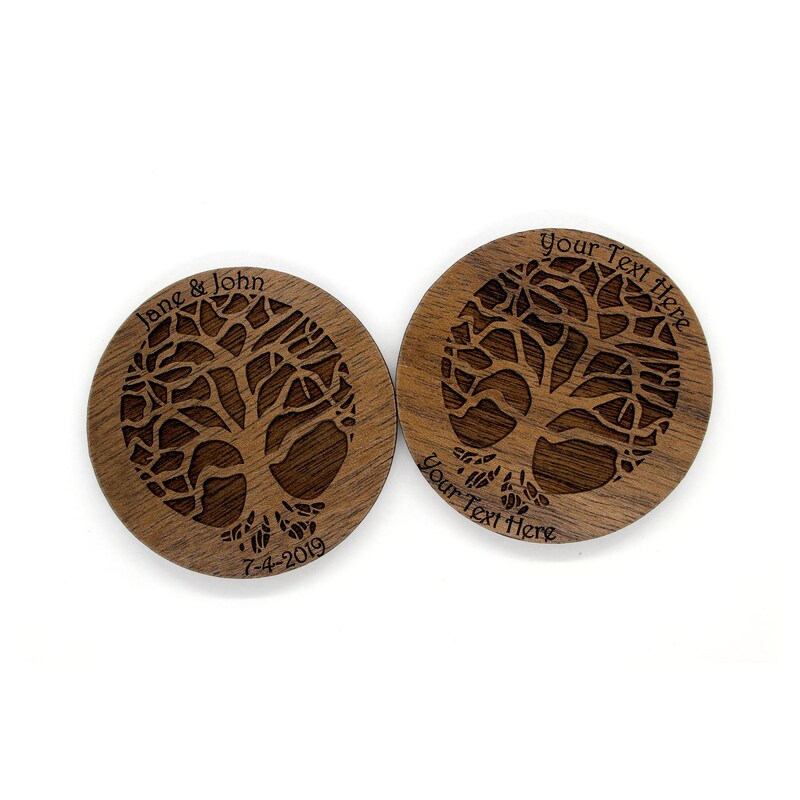 Made out of Walnut that is sustainably harvested from the Appalachian Mountains with a growth to removal ratio of 2.29. 100% USA grown and verified sustainable by AHMI. 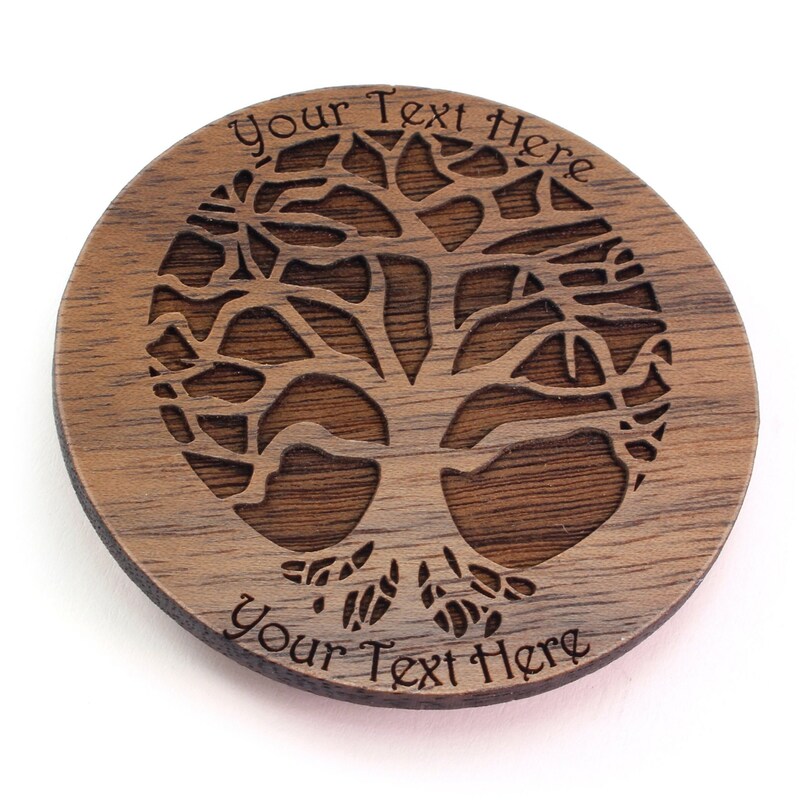 Room for up to 20 characters above and below the tree; just leave a note during checkout to specify the customized engravings that you would like on your magnets.